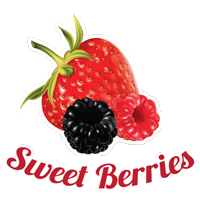 Sweet Berries | IHerb review. Oil Control Facial Moisturizer, Lilac Stem Cells + 1% Chlorella Growth Factor by Acure Organics. Oil Control Facial Moisturizer, Lilac Stem Cells + 1% Chlorella Growth Factor by Acure Organics. IHerb review. Home > iHerb > Oil Control Facial Moisturizer, Lilac Stem Cells + 1% Chlorella Growth Factor by Acure Organics. IHerb review. because of it’s interesting ingredients, and I’m going to tell more about this. Acure Organics is a family company that produces organic cosmetics and each of their products is free from gluten, parabens, sulfates, phthalates, harmful preservatives and artificial colors and is never tested on animals, also it’s vegan. All products clinically tested and has certificates. One of the company tagline, which I really like, is that “it’s not enough to be natural, it also has to work”. I’ts a very popular company on iHerb and I can tell you that I like all of the products by Acure Organics which I’ve ever used.
. Company recommends it for oily and acne-prone skin, it will minimizes fine lines, helps prevent breakouts, heal blemishes, helps rejuvenate damaged skin cells and control sebum production. Ingredients: Lilac Stem Cells, Chlorella Growth Factor, Organic curoxidant blend [(organic euterpe oleracea (acai) berry, organic rubus fruticosus (blackberry), organic rosa canina (rosehips), organic punica granatum (pomegranate), organic calendula officinalis (calendula), organic matricaria recutita (chamomile), organic aspalanthus linearis (rooibos)], organic aloe barbadensis (aloe vera) leaf juice, cetearyl alcohol, organic theobroma cacao (cocoa) seed butter, organic carthamus tinctorius (safflower) seed oil, glyceryl stearate SE (vegetable derived), vegetable glycerin, organic helianthus annuus (sunflower) oil, infusion of organic calendula officinalis flower in organic olea europaea (olive) oil, glucono delta lactone (fermented sugar), organic chlorella growth factor, syringa vulgaris (lilac) leaf cell culture extract, marrubium vulgare (white horehound) stem cell culture, echinacea stem cell culture, fermented resveratrol extract (probiotic), organic argania spinosa (argan) oil, ubiquinone (coq10), olive leaf extract, organic oenothera biennis (evening primrose) oil, potassium sorbate, essential oils of sage, lavandin, lemongrass, spearmint. Ingredients are very good! Among the active ingredients point of interest are stem cells of lilac that balance oil and heal blemishes. Also chlorella growth factor – a substance that is unique and found only in chlorella. Its uniqueness is that it allows the cells to divide at a speed of 40 cycles per day. Chlorella growth factor comprises a protein complex vitamins, nucleic acids, enzymes and sugar. During clinical studies on human fibroblast cultures, it was determined that chlorella growth factor stimulates the production of collagen + 333%. Among the other ingredients I’m also want to mention a probiotic, argan oil, evening primrose oil and of Q10. Cream made in the USA, the volume of the tube – 50 ml (1.75 fl oz). It is recommended to use it as a day and night cream. I enjoyed it and I have a very good expirience while using it. Cream moderately dense, has a nice unobtrusive scent of sweet mint. Distributed over the skin easily. Initially when applied I had a feeling that it heavy, but after half a minute there is an excellent matte effect on the skin and firmer feelings, while the whole moisture remains in the skin. I have not used it while hot weather during the day because of its properties, I would like to have more lightness after I applied it. But it’s very comfortable when the wheather is cool a bit. Therefore, I think the summer – it is not the season to use this cream for those who has oily and combined skin. But even in summer after the cream applied the makeup looks great! The haze effect after the cream applied does not last long, but with regular use I can definitely notice that the level of “oil” in the T – zone decreased and it does not dry cheeks too much. I can also confirm the reduction of inflammation, but I want to admit that it’s not only the cream effect but also my comprehensive skin care. And yes I’m going to use it this autumn or winter, because I’ve liked matting effect and excellent moisturizing of the skin! That’s all, my Berries! Let’s meet the autumn with the warm of summer in our hearts! Юленька, спасибо! Да, мне тоже актуально. Хотя попадались и неудачники среди матирующих. Наташенька, тебе спасибо что читаешь! Очень рада! люблю эту марку, Катюш спасибо за отзыв! Really interesting products. As far as I am oily, I need such products to control my sebum. О, звучить, ніби засіб для мене) дякую за детальний огляд! Наталочка, тобі дякую що завітала! Риточка, мне очень приятно! Спасибо большое! Так приятно! Оксаночка, рада что обзор понравился. Спасибо тебе большое!